As an entrepreneur or small business owner, you want to make sure that every resource available to you is working to its full potential. You can't afford to leave money sitting on the table or pay a monthly subscription for something you never use. That would be crazy, right!? You'd cancel that subscription and make sure you only pay for the things that are truly serving your business. Well your website is no different. It has the potential to do a lot of heavy lifting in your business - saving you hours of each week and month. But oftentimes, I stumble across websites that are lacking some really important elements that equal less viewers, less leads, and ultimately, less sales. 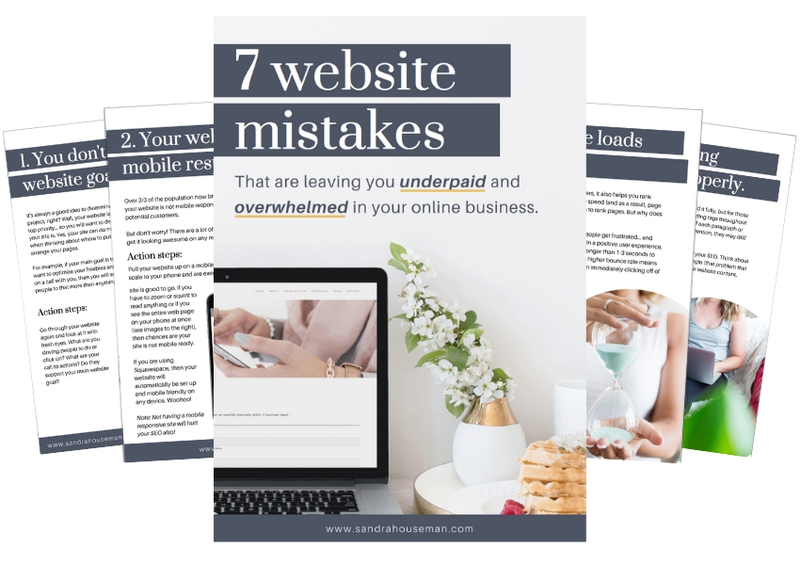 Today I'm sharing with you a new free resource that you can download straight to your phone or computer... 7 website mistakes that I see time and time again in small business and entrepreneur websites. 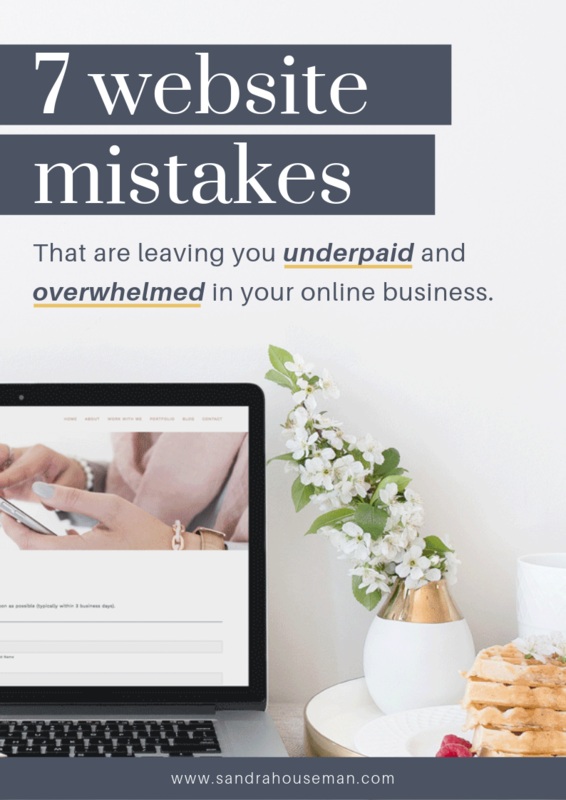 This guide also includes the necessary action steps to turn these mistakes around so your website becomes a money making machine! If you're ready to turn your website into a lead generating, money making machine, then you can grab your free download by entering your information below. Sandra Houseman is a website designer for female entrepreneurs, creating sites that are a breeze to use and mange, so you can get that mission out of your heart and into the world in bigger ways… while skipping the headaches. Site design by Sandra Houseman. Copyright © 2019 Sandra Houseman. All Rights Reserved.